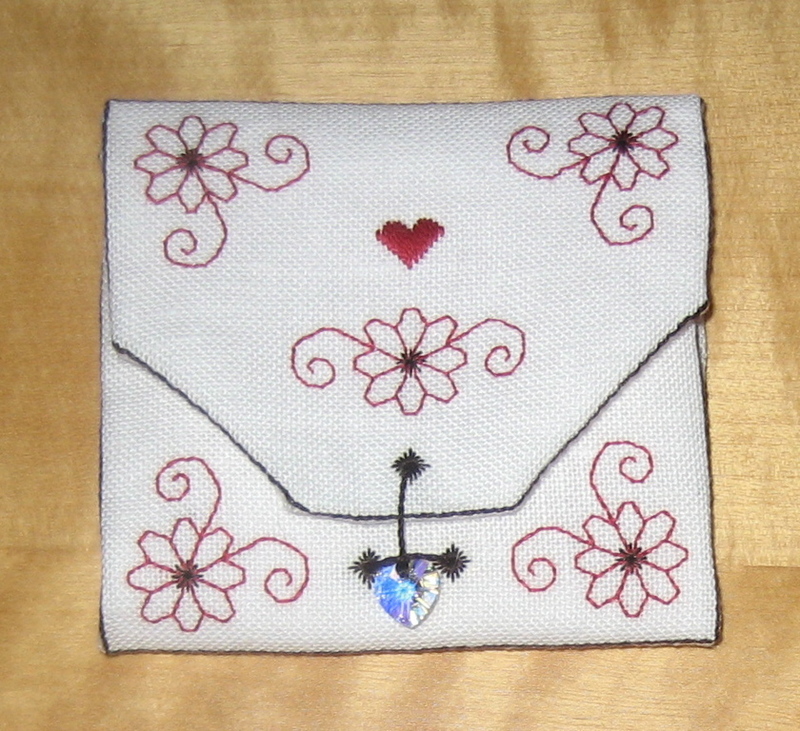 I designed and stitched this Wedding Ring Envelope for a friend. The hardest part about this project was not the design or stitching, it was turning it into the envelope. I can’t actually remember how I finished it. Looking back now, I should have skipped adding my initials and year… seems a bit like bad form now. I do love the way it turned out and I am told the best man didn’t loose the rings… Mission accomplished!